At Today Dental, we’re a full-service dental practice that works with you to understand and prioritize your treatment options. 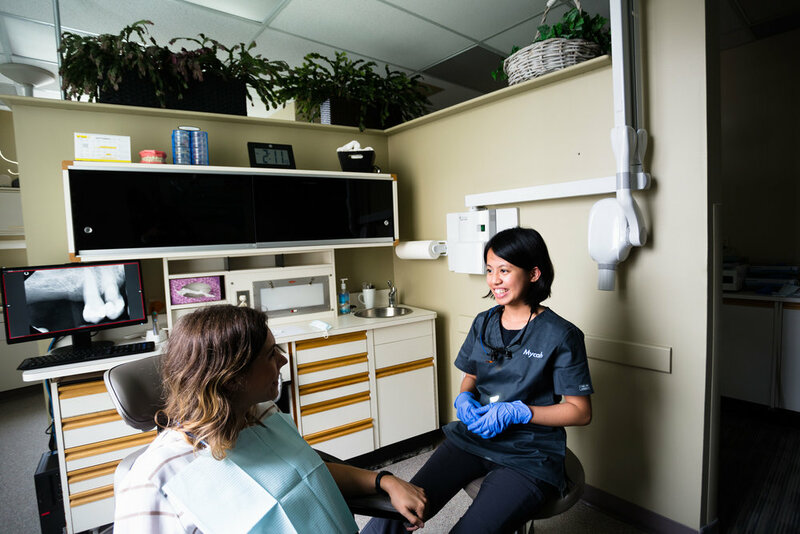 Our goal is to develop a strategy that is tailored to you and your unique oral health needs using the best procedures, technology, and materials available. Not sure of what services or treatment you need? Call us with questions, and we will gladly assist with booking your next appointment. The most important factor in preventative oral health! Regular cleanings and exams help maintain and improve oral hygiene and address problem areas before they turn into bigger issues. We help determine the frequency needed to support your optimum oral health. The tried and true way to fix chipped, cracked, and decayed teeth. Protective coverings that strengthen teeth weakened by cracks, large fillings, decay, and root canals. An alternative to implants that permanently repairs decaying, broken, or missing teeth. We coordinate with top Winnipeg specialists to secure your implant placement. Then we take over the restoration and maintenance in-house. Whether we are replacing some or all of your teeth, dentures are a reliable way to get your smile and function back on track. A necessary procedure used when the nerve in the tooth is damaged beyond repair. We use state-of-the-art equipment to make this procedure as easy and comfortable as possible. Accidents happen, and so do toothaches. We’re here to help with all. Call us to have your case assessed. We offer custom professional whitening kits that remove stains and brighten your smile. achieve that perfect smile you desire!